Chiptune Marching Band is a 2 hour workshop + 1/2 hour performance where participants build a small tonal sensor (light, temperature, distance, etc.) driven electronic instrument powered by an alternative energy source (solar, human-kinetic, wind, etc.). 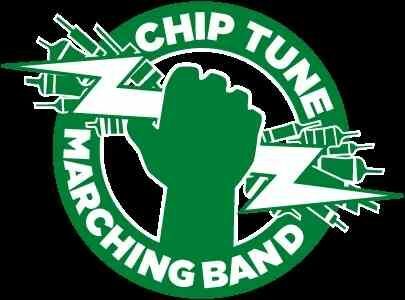 With noise-makers at the ready, we take the group to the streets as the Chiptune Marching Band. In the workshop, participants are lead through workshop concepts and presented the basic electronics knowledge required to create their own portably powered electronic instrument. Participants are then grouped together as the Chip Tune Marching Band, parading the streets as a public performance and spectacle. Armed with the tools and know-how for hacking together alternative-power systems and square wave sensor circuits, we make our own instruments and take to the streets. At the end of our march, participants take their instrument home.